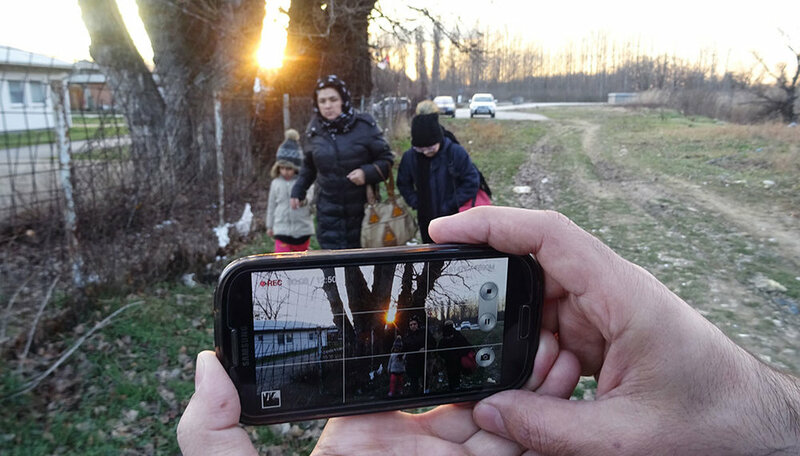 Chronicling every step from inside the action, Fazili, his filmmaker wife, and their young daughters trek across Iran, Turkey, Bulgaria, and Serbia—scurrying through perilous landscapes, huddling in freezing forests, cramming into rattling vehicles. As they endure smugglers, gangs, and refugee camps, the camera witnesses not only the danger and desperation but also the exuberance and tenderness of this irresistible, loving family. For Fazili, framing their story becomes an assertion of control, humanity, and self-expression in a situation where none exists.